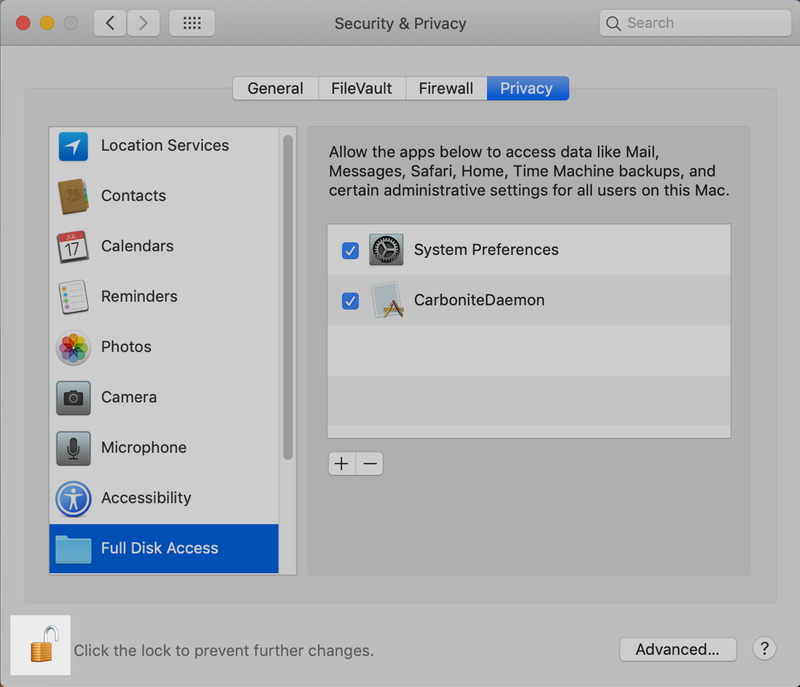 Adding System Preferences to Full Disk Access will grant any other application or program that lives in System Preferences with the same access. To learn more about Apple’s new security feature, see the release notes. 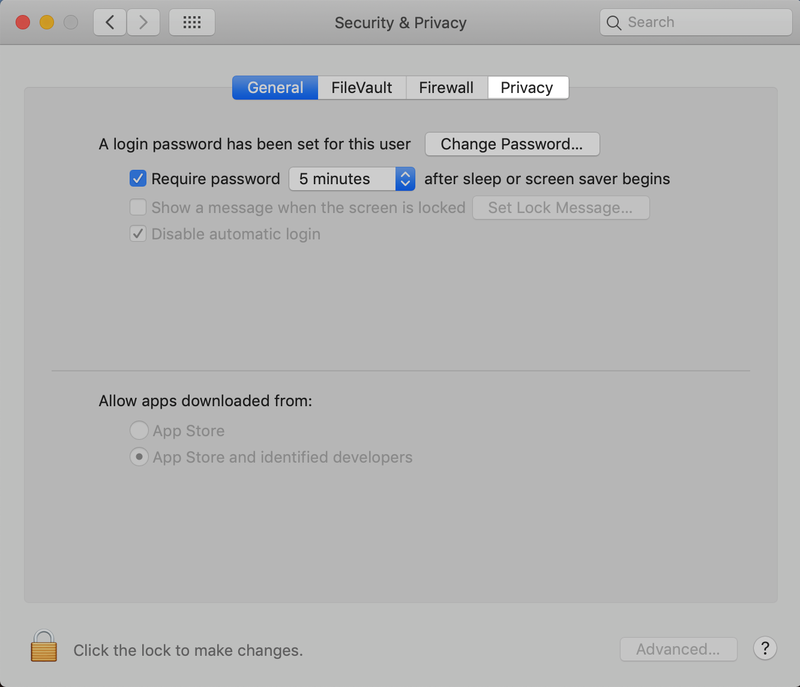 Click the padlock icon and enter you Mac’s username and password (not your Apple ID or Carbonite password) to allow changes. Click the ‘+’ button to the right of the highlighted Full Disk Access. 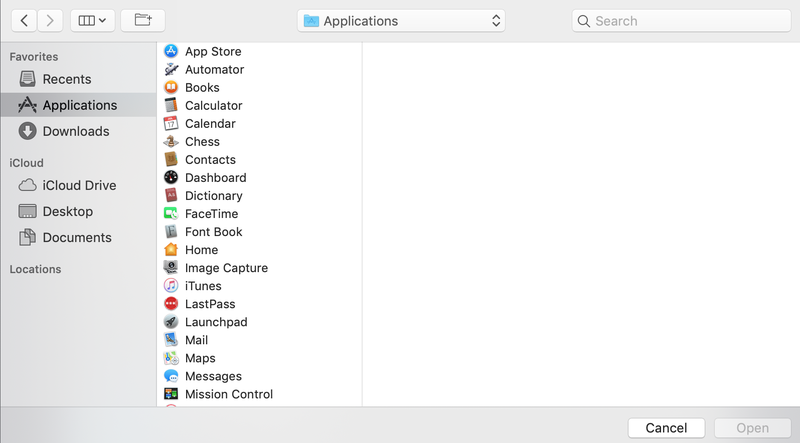 If you do not see Applications on the side menu, continue to the next step. 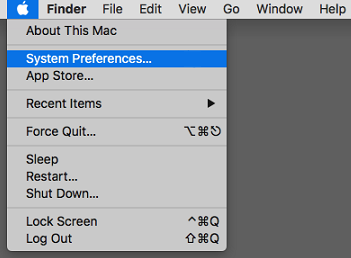 From the dropdown menu, click Macintosh HD. 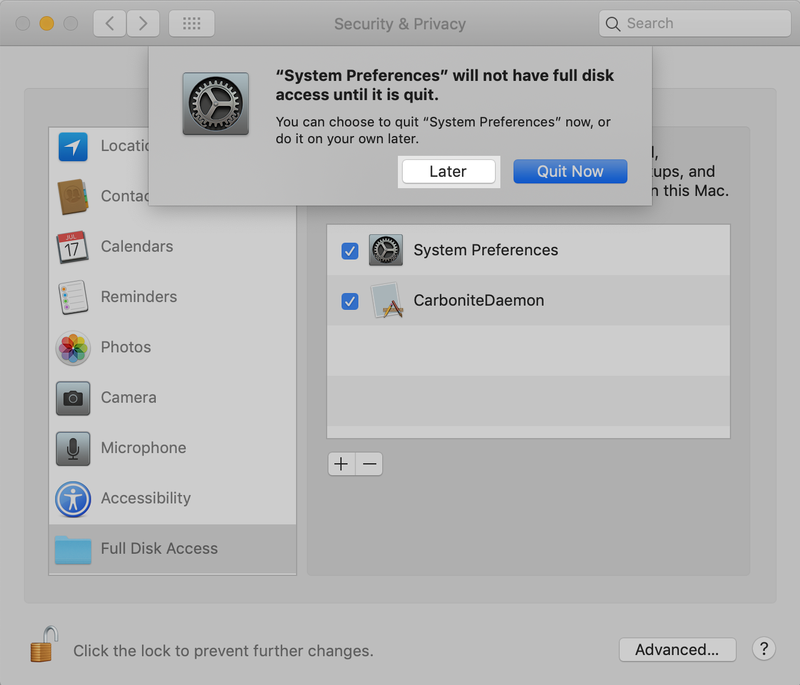 Navigate through the folders to Library/Application Support/Carbonite, select CarboniteDaemon, and click Open. 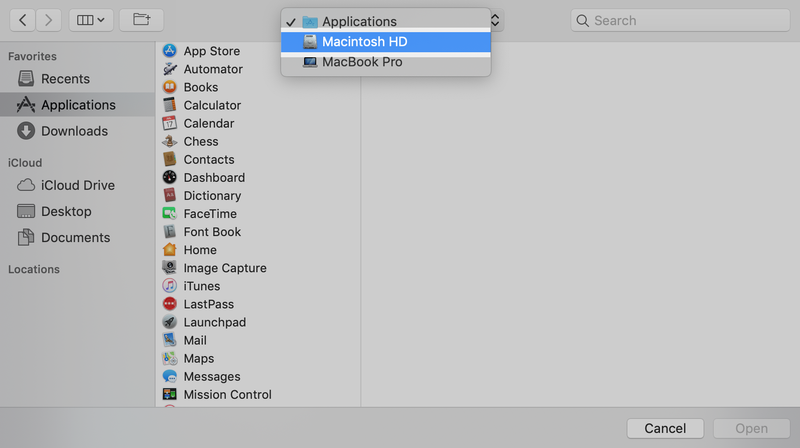 Open the Applications folder, select System Preferences, and click Open. 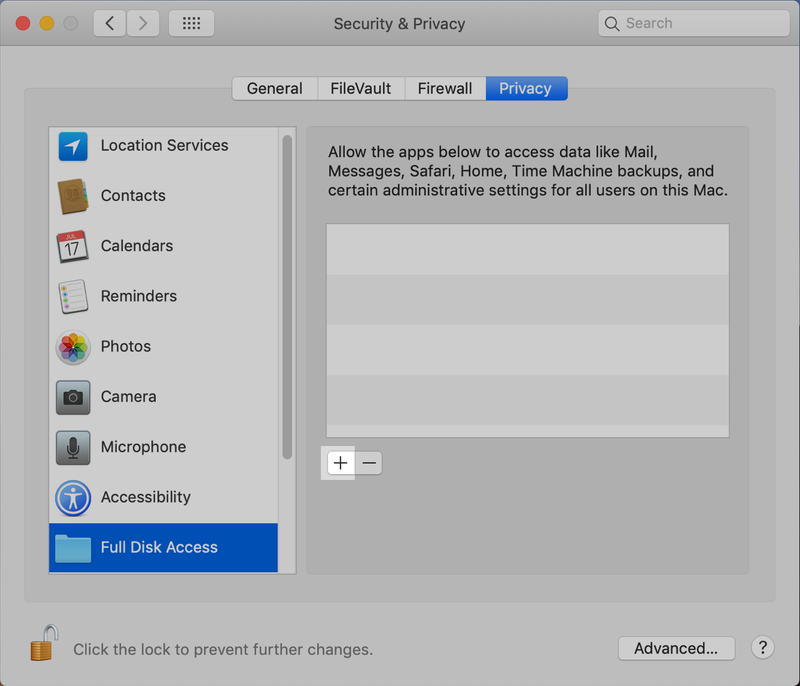 After adding System Preferences to Full Disk Access, click Later if you see the following window. If you clicked Quit Now, follow steps 1-4 and continue below. 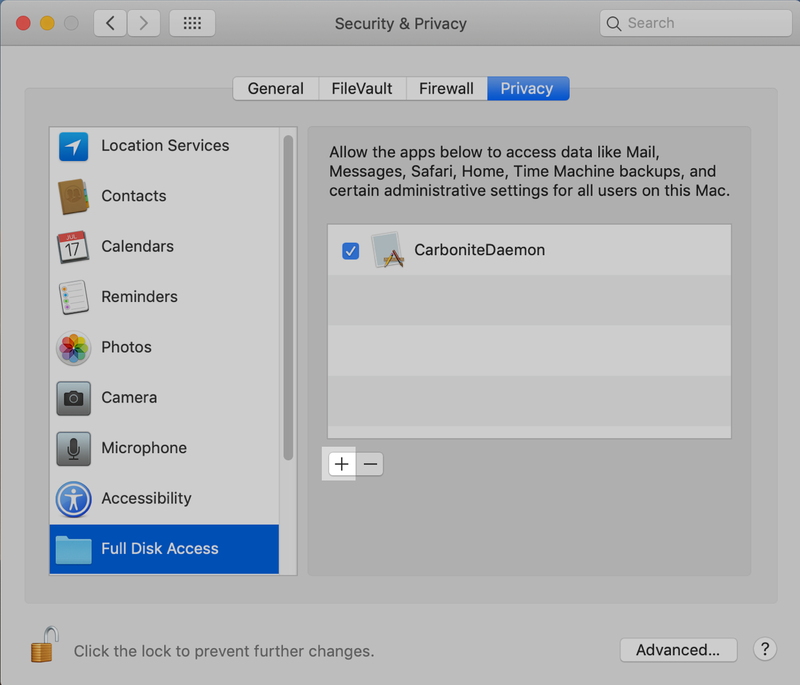 Full Disk Access has been successfully configured for Carbonite if CarboniteDaemon and System Preferences appear in the window above.